If an electronic public notice cannot be posted due to an accident or other contigency, the public notice will be printed in The Nihon Keizai Shimbun. (Notes)１. FUJI SOFT INCORPORATED holds 2,405,102 shares of treasury stock but is not included in the list of major shareholders above. ２. 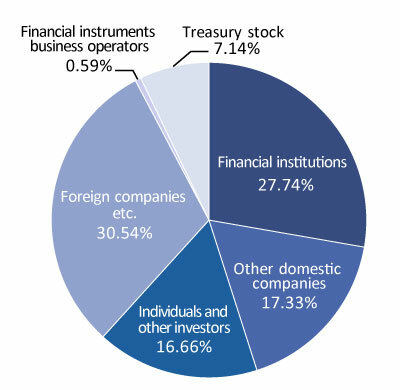 The shareholding is calculated based on the number of shares held excluding treasury stock. There have been no stock splits for the past five years.